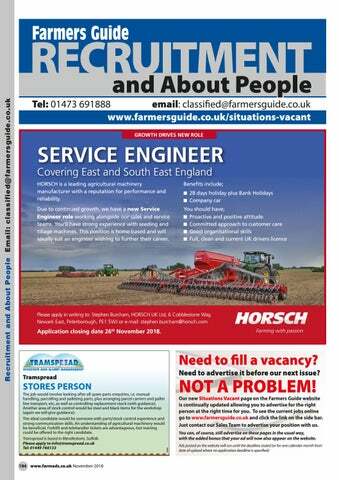 SERVICE ENGINEER Covering East and South East England HORSCH is a leading agricultural machinery manufacturer with a reputation for performance and reliability. Due to continued growth, we have a new Service Engineer role working alongside our sales and service teams. 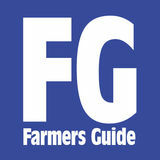 Youâ&#x20AC;&#x2122;ll have strong experience with seeding and tillage machines. This position is home-based and will ideally suit an engineer wishing to further their career. Application closing date 26th November 2018.